We can all make a difference if we stand together. In September 2009, a dedicated group of Middlesex County business leaders took a stand against bullying. 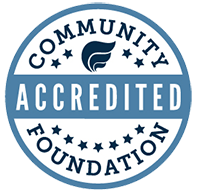 Working through the Community Foundation of Middlesex County (CFMC), these leaders established the Council of Business Partners Fund and, with the help of Rushford, a Hartford Healthcare partner, developed and funded the “No Bully Zone” Program. 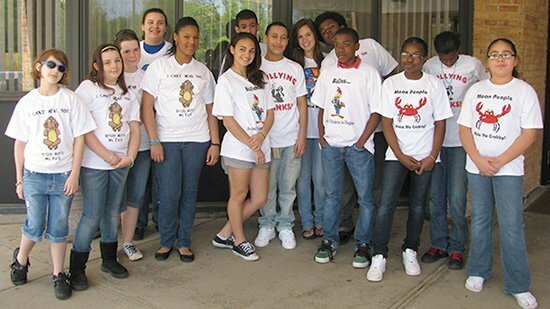 In 2014, CFMC’s Council of Business Partners joined with partners from Middlesex County and throughout Connecticut to launch the Campaign for Bully-Free Communities – calling everyone to stand together and take the bully-free communities’ pledge. 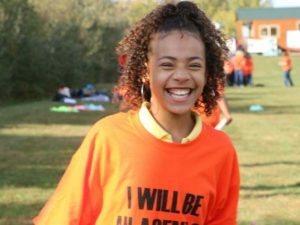 The “No Bully Zone” program teaches students how to identify, address and report incidents of bullying. The program was launched in Keigwin Middle School and Woodrow Wilson Middle School in Middletown as The Safe Squad. 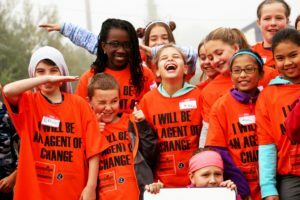 Student volunteers who participate in the program are trained as peer leaders by certified prevention staff and are taught anti-bullying, decision-making and communication skills. 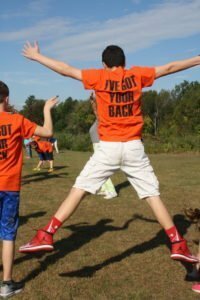 To date, the “No Bully Zone” program has been implemented in the Haddam-Killingworth school district, in Oddfellows Playhouse projects; at The Country School in Madison; and in conjunction with The First Tee of Connecticut youth programs. The program has also been adapted for school bus travel on buses operated by M&J Bus Inc.
Visit the Campaign for Bully-Free Communities Website – Take the Pledge and Help Us Make Middlesex County a Bully-Free Community! The Council of Business Partners includes: John Sullivan of A&A Office Systems; Laura Pedersen of A.R. Mazzotta Employment Specialists; Owen Flannery of Belltown Motors; William, Susan and Shawn McCann of BEST Cleaners; Mauricio Salgar of The Black Seal; Colin Burr, of Brown & Brown of CT, Inc.; David Director, of Connecticut Lighting Centers, Inc.; David Gilbert of Direct Energy; East Hampton Rotary Foundation, Inc.; William McMinn of Essex Printing/Events Magazines; Lenny Goldberg of Lenny & Joe’s Fish Tale; Daniel Zimmerman of LiveKind; James Mahoney, of Mahoney Sabol & Co., LLP; Marc Levin of Mallove’s Jewelers, Middletown; Karen Beebe of M&J Bus Company, Inc.; Paulson Training Programs, Inc.; Nancy Raczka, Attorney; Theodore Rossi of The Rossi Group; Elizabeth Shulman, LFMT; David Shulman of Suburban Stationers, Inc.; and St. Mary’s Church in Portland and Congregation Adath Israel in Middletown of the Interfaith Golf Open Tournament.